Showing results by narrator "Tony Full Cast incl. Hancock"
First broadcast live in 1959 as part of Tony Hancock's 4th BBC TV Series, these rare recordings are made available for the first time in over fifty years. In The Flight of the Red Shadow (aka Desert Song), Hancock is on the run from disgruntled members of the East Cheam Repertory Company. In order to escape, Hancock is forced to masquerade as the Maharaja of Renjipur, with disastrous consequences. First broadcast live in 1959 as part of Tony Hancock's 4th BBC TV Series, these rare recordings are made available for the first time in over fifty years. 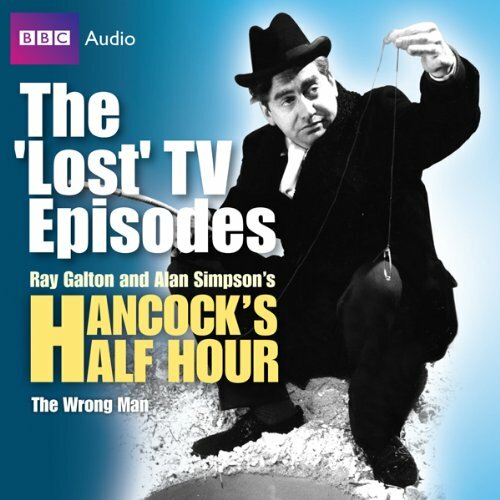 The Wrong Man sees Hancock and Sid called in to take part in a police identity parade. However, when a witness picks Hancock out for the burglary of a high street tobacconist, he has only days to clear his name.